While Movado’s popularity increases, it seem that the tough economy has taken a toll on the Movado Group Inc.’s retail sales numbers. The Swiss watchmaker, known for their iconic and artistic designs continues to create interesting and beautiful timepieces and jewelry, but most of their sales occur at a wholesale level, to retailers. The privately owned boutiques they operate report losses in the first quarter of 2010, so much so that nealy 2 dozen of the Movado boutiques will close their doors next month. Taking this action will have an immediate and positive effect on their bottom line. In addition to closing the retail boutiques, Movado has increased the lower end of its yearly sales forecast, resulting in an 8 cent gain in operations profit, rather than a 12 cent loss. Movado does have over 30 outlet boutiques, which will remain open along with the flagship boutique, located in New York’s Rockefeller Center. The company, like many others has struggled in recent years, but continues to develop and produce lovely creations. Product development and advertising is where Movado has put their focus, and it is paying off. These strategic moves have been the catalyst for Movado’s shares to rise 52% in the past year. Sure, times are tough, keep battling Movado. 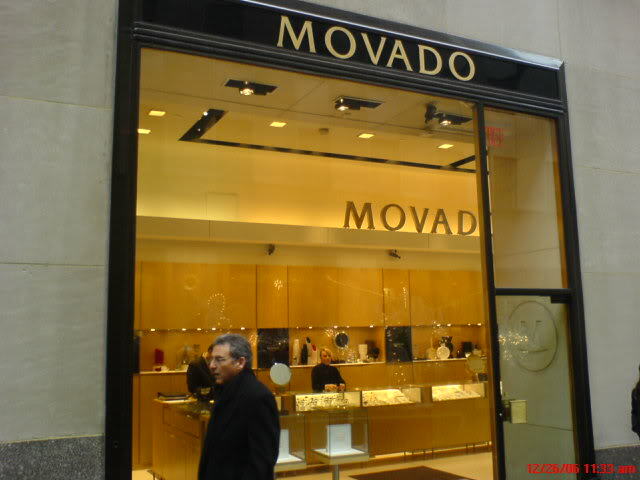 Technorati Tags: luxury watch company, Movado, Movado Group Inc. Tags: luxury watch company, Movado, Movado Group Inc.